The Second World War was one of the darkest chapters in the history of mankind and the most tragic one in the history of the Jewish nation. Poland, having had a very large Jewish population by 1939, witnessed its extermination when the country was occupied by the Nazis. 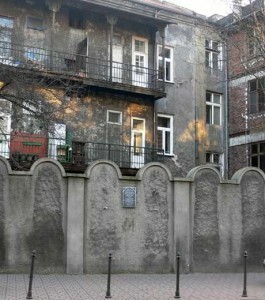 Out of 65 thousand Jews in Krakow in 1939, only 5 thousand survived. Over 1 thousand of them were saved by just one person – Oskar Schindler. Oskar Schindler, an ethnic German, born in 1908 in Zittau, the Habsburg Empire, now the Czech Republic, came to Krakow in 1939 as so called “official supervisor” of the Jewish property. Thanks to his membership in NSDAP, he was in a position to undertake actions saving Jewish lives. Some of those whose names were on the “Schindler’s List” and their descendants are still alive and live on all continents. The tour includes a walk through the former ghetto area and the former “Emalia” factory.